How do we raise the next generation to have good values while growing up amid affluence? To answer this question, we scoured the literature, consulted our colleagues, and drew on our 15 years of experience serving high net worth families to bring you Growing Goodness—a curated set of ten best practices delivered in an interactive way that has become the hallmark of 21/64’s tools. Users of Growing Goodness experience the information in a succinct format, combined with evocative images and suggestions on how to implement these ideas in real life. By interacting with the tool’s physical cards, participants are invited to consider in which areas they feel confident, as well as those they’d like to work on further. 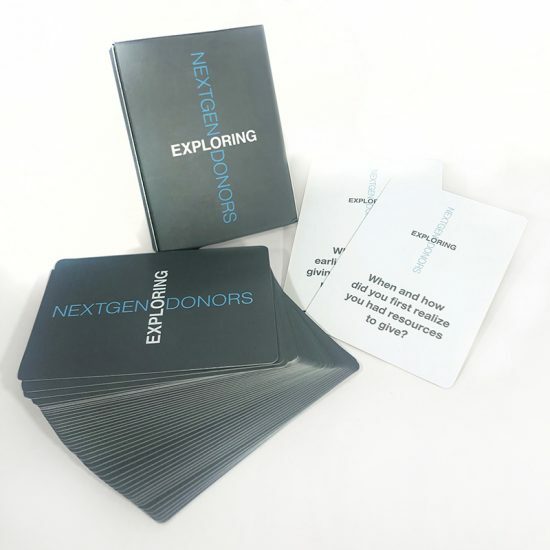 This tool can be used one-on-one or with multiple donors and clients, to walk individuals through challenges they may be navigating and to create a game plan for raising well rounded children. 21/64 can also facilitate Growing Goodness in an Instagram-style PowerPoint presentation in larger group settings. Moreover, the tool itself suggests other complimentary tools to pair with each of the 10 best practices, so you can add other elements, like a Motivational Values or Money Messages exercise, to a client experience. ENTER YOUR EMAIL TO GET ACCESS TO THE RESOURCE.